Every business organization aims at improving its productivity, reaching milestones and achieving successes but they rely solely on their employees and key people to achieve these goals. Needless to say, employees are the most important asset of any business organization and the employer needs to maintain and keep this asset motivated to deliver the best outcome. While you may compensate your valuable employees by increasing their taxable salary, it is much more efficient to compensate them with a group benefits plan. If you are looking for the best employee benefits program, look no further from Equitable Life. Equitable Life employee benefit plan is one of the best group insurance providers out there due to its flexibility and ease of use. Both employers and their employees can benefit from the HealthConnector offered by the insurer. The group benefit plan does not just help you to retain quality employees but you can also minimize cost on the coverage and customize the plan to suit your organizational goal while serving the needs of your employees. Equitable Life employee benefit plan is cost-effective, comprehensive and can be tailored to meet the needs of each situation no matter how unique. To get an immediate Equitable Life employee benefit quote, click here. Equitable Life employee benefit plans include a number of products and services. The products and services include life, accident, and critical illness; health and dental; health care spending accounts (HCSA); taxable spending account (TSA); disability management solutions; health, wellness, and online services. The life, accident and critical illness coverage include group life insurance, accidental death, and dismemberment (AD&D) insurance, and group critical illness. The health and dental plan cover health benefits and dental benefits. The health coverage covers convalescence home services, coverage for paramedical practitioners, private duty nursing care, vision care services, dental accident, prescription drug coverage, and so forth. Dental benefits cover diagnostic, preventive, restorative, periodontal, major dental surgical coverage, endodontic, denture repairs services, and so forth. To learn more about Equitable Life employee benefit, click here. 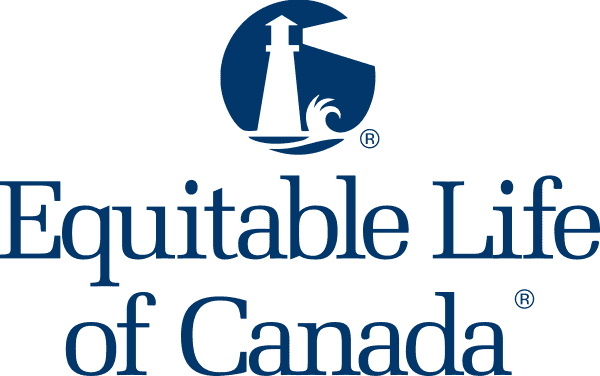 One of the largest mutual life insurance companies in Canada, Equitable Life, had an outstanding year in 2018 as it experienced strong growth in all of its business lines. The 2018 result shows that the company had the highest capital ratios in the insurance industry according to the Life Insurance Capital Adequacy Test (LICAT). Equitable Life’s premiums and deposits in 2018 was $1.4 billion and it contributed to $4.3 billion of assets under administration. The growth was strengthened by sales and a new record of $380 million was set by Savings and Retirement business – an increase of 22 percent over the previous year. The Individual Life and Health insurance business had outstanding sales of $119 million an increase of 19% over 2017. Also, the Group Benefits business had $5.8 million in sales which was an increase of 18 percent over the past year. Ron Beettam, President and Chief Executive Officer at Equitable Life said that their accomplishments in 2018 were significant and they are very sure that they are in a very strong financial position overall as a company. Beettam continued by saying that they have continued to build on the momentum they achieved over the last five years and as a result saw solid growth across all lines of business. He said they are pleased with the result they obtained and while other companies experienced fairly flat growth, their company performed extremely well. Beettam added that a greater part of their success in 2018 is due to their extremely strong execution across every area of the company. The company set goals at the beginning of the year and the people worked together to achieve them. To learn more about Canadian Equitable Life employee benefit, click here. How do I submit and review my group benefits claims? To submit a claim, return to the account overview page and click on the “Submit a Claim” button. Next, select a benefit type. Indicate if you are covered under another group benefits plan to enable Equitable Life to coordinate your benefits with other carriers. Then, enter your claim details, the patient name, and the practitioner’s name. Select the provider from the dropdown list and select the type of service. Then, the date of service and complete other requested information and attach your receipt. After submitting the claim, you can view your previous claim and review it. How do I enter my banking information for group benefits? Before submitting a claim online, you are required to enter your banking information to enable Equitable Life to know where to deposit your claims payment. Start by clicking “Information” and selecting “Direct Deposit”. Enter the “transit number”, the “bank number”, and your “account number” and then save. How do I activate my group benefits account and log in? To log in to your account, visit www.equitablehealth.ca and click the “Activate Account” button. Next, click the “Plan Member” button and complete the required fields below, then activate your account. In the group benefit home page, you can submit a claim and access other features and services in the page.